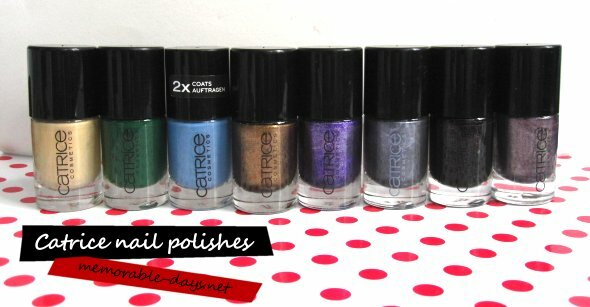 Catrice & Essence Nail polishes haul ♥ | Memorable Days : Beauty Blog - Korean Beauty, European, American Product Reviews. Lets move on with the blogpost of today. 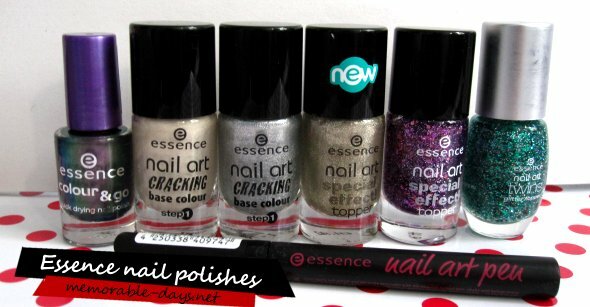 It's about my Catrice & Essence nail polishes haul ♥. I bought heaps of nail polishes lately since all nail polishes were on sale at a Dutch drugstore. They had a great deal: buy one nail polish and get one free, so of course I bought a bunch xD hehehe. I had swatched the #440 I wear my sunglasses at night and #430 Purplelized last week ^__^. Those are my favorites of the bunch. I regret that I didn't buy more nail art pens, because they are quite good, better than I expected :). I will make some swatches of every nail polish so stay tuned ^^!